For off road enthusiasts one of the classic 4×4 vehicles is the Range Rover. It would be unthinkable to go on an African safari, trek through Mongolia or cross the dunes in Morocco without the Range Rover at your side. And while many now drive the Range Rover in suburbia hauling groceries instead of supplies, today Range Rover has made history by announcing it to will join the electric revolution. Range Rover is to produce an electric model in the upcoming year. 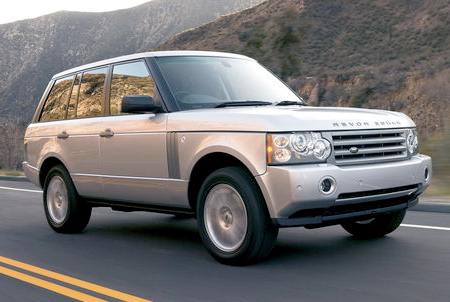 The Range Rover will not be a low powered, low distance vehicle that many manufacturers are currently producing. In fact, the Range Rover electric version is expected to achieve 200 miles on one single charge. In addition, it will have solar panels on the roof to help charge batteries, run the A/C and other interior amenities. In addition, Range Rover states that there are a whole host of technologies that they are in the process of researching and testing which might make their way into the vehicle. Range Rover states that this new electric vehicle will use about 80% less energy than a typical Range Rover with no reduction in power. While this is definitely a step in the right direction, the first few production vehicles produced will be quite expensive and out of reach for most consumers. Range Rover is expected to release the first electric models for the price of $175K to $230K- easily twice as much as Tesla’s Roadster. However, for those into off roading and the environment, this is definitely a step in the right direction and will lead to lower prices and better technology for the many vehicles to come. While currently just a prototype, we look forward to seeing the new electric Range Rover in a couple of years. There’s big news coming from Detroit today as one of the big 3 American car manufacturers unveiled their line up of electric and hybrid vehicles. While the Jeep was originally designed as a military vehicle, it has morphed greatly into a vehicle perfect for one to enjoy the outdoors. As nature lovers are more conscious of the imprint they make when offroad, the electric Jeep (Jeep EV) which is slated for production in 2010 makes a lot of sense. Actually, the Jeep EV will not be a pure electric or a typical hybrid such as the infamous Toyota Prius. Instead it will have both a gas engine and an electric motor. The electric motor will be similar to what is expected in the Chevy Volt, it will have a range of about 40 miles on a full charge. According to recent estimates, a full charge would take about 6 to 8 hours using a 110 volt connection (half this time for a 220 volt connection). However, in addition to a 40 mile all electric range, the Jeep EV will also have a back up gasoline engine to enhance the vehicles distance indefinitely. While much is still unknown about the specs on the 2010 Jeep EV, some details that were mentioned were that there were plans for both a 2 wheel and four wheel drive version, the engine/motor would produce about 268 hp and 296 lb/feet torque. Acceleration will be decent at about 0 to 60 in 9 seconds and a top speed of 90 mph. For those excited about electric vehicles, the Jeep EV is definitely a product that will surely thrill. While there is a long way to go for electric vehicles to catch up with their gas counterparts, it looks like the future will be bright for both electric vehicles and Jeep.